How salespeople tend to view pricing and discounting decisions in the context of their day-to-day work. Effective ways for pricing people to build greater levels of rapport and mutual respect with the sales team. 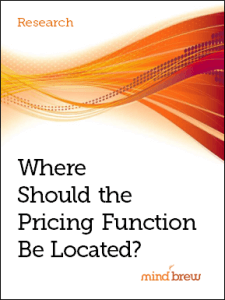 Other important areas that pricing teams are uniquely-positioned to help their sales organizations tackle. The importance of maintaining an ongoing dialog with sales leadership about the more strategic issues.